Do you want to know about the extraordinary history all around you? (Yes!!) Well you’re in luck. 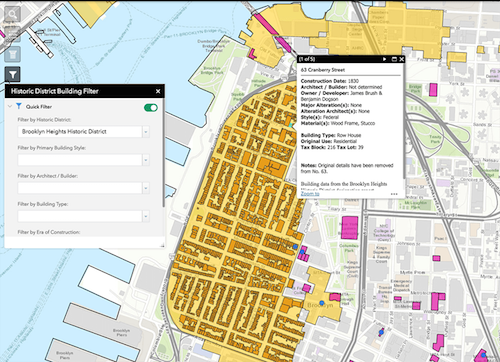 The New York City Landmarks Preservation Commission has just released a revamped version of its interactive landmarks map!!! 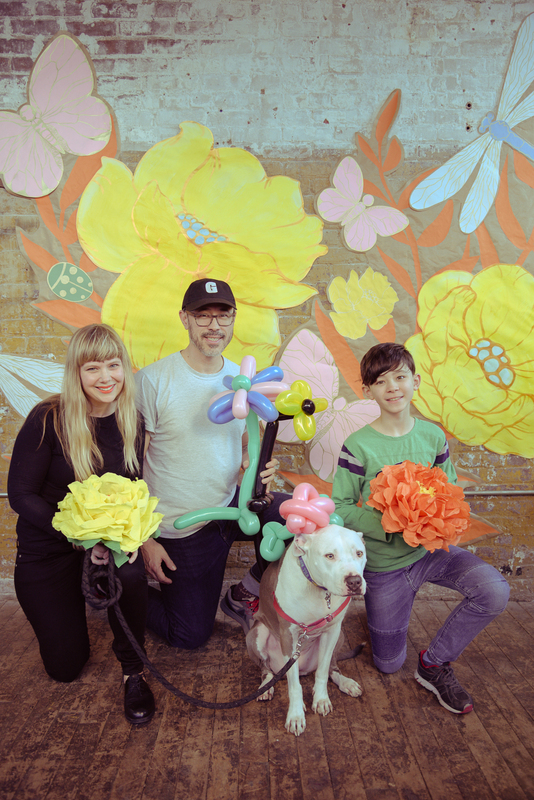 If you’re ready for a deep dive, this might be the best city for it, since the New York City Landmarks Preservation Commission (LPC) is the largest municipal preservation agency in the nation. The LPC recognizes individual landmarks, interior landmarks, scenic landmarks and historic districts, designating sites based on historic, architectural and cultural significance. The map includes information, photographs, and historic designation reports for all 36,000 buildings and sites which the organization has landmarked since its inception in 1965. You can search for landmarks by category, address or area; by style, architect, building type or era of construction. 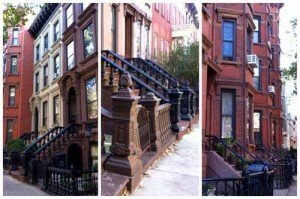 I popped in Greenpoint, and discovered we have 10 designations, including individual landmarks and historic districts. 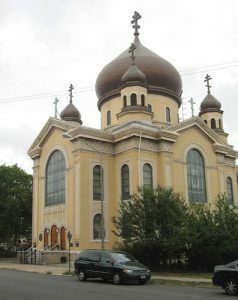 So without further ado, I give you, The Hist List: Every Historic Landmark in Greenpoint! The Greenpoint Historic District, landmarked 1982, includes property on Java, Franklin, Kent, Milton, Noble, Calyer, Leonard, Oak, Guernsey and Lorimer Streets as well as on Greenpoint and Manhattan Avenues and on Clifford Place. The development of the area began in 1832 when Neziah Bliss acquired land in Greenpoint and brought ship building to the neighborhood. In the 1850s, ship building became one of the most prominent industries in Brooklyn, and Greenpoint was the epicenter of the trade. The neighborhood grew along with the ship building industry, so that most of the homes in what is now the Historic District were built by and for the men working in that trade. Greenpoint’s historic district differs from others is Brooklyn because it is linked to the industrial development of the neighborhood. In fact, the Designation Report notes that Greenpoint’s ship builders “built much of this country’s nineteenth-century merchant navy and ships for many foreign countries.” Further, as Greenpoint grew to become Brooklyn’s industrial center, “residents of the area contributed to the evolution of American fine arts,” and that they built their own homes in a variety of “vernacular styles” that reflects the “diverse nature” of 19th century urban architecture. The towering timepiece at 753 Manhattan Avenue was landmarked in 1981. The LPC asserts that “one of the most important and essential parts of New York’s historical fabric is its ‘street furniture’ — lamp posts, street clocks, sign posts , and benches that enhance and maintain the intimacy and scale of neighborhood blocks.” Our streets have no finer pieces of furniture than imposing cast-iron sidewalk clocks, and the one on Manhattan Avenue is the last one standing in Brooklyn! Introduced in the 1860s, sidewalk clocks like this one were a popular form of advertising. Longstanding businesses would buy a clock and install it in front of their shops. This clock once advertised Bomelstein Jewelers. 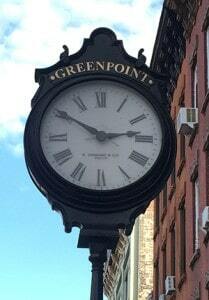 Today, the clock is named for its home, sporting a spiffy “Greenpoint” along the top. 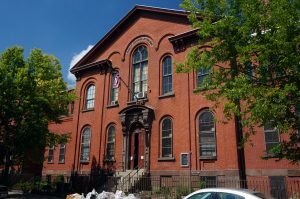 PS 34 (131 Norman Avenue) is the oldest continuously functional primary school in Brooklyn! 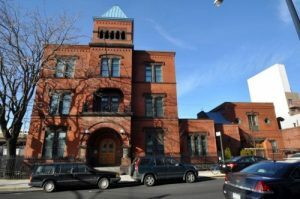 The building, landmarked in 1983, was built in the Romanesque style in 1867, and designed by Samuel B. Leonard, Superintendent of Buildings for the Board of Education in Brooklyn 1859-1879. Additions were added in 1887-1888, by James W. Naughton, who succeeded Leonard in his post. 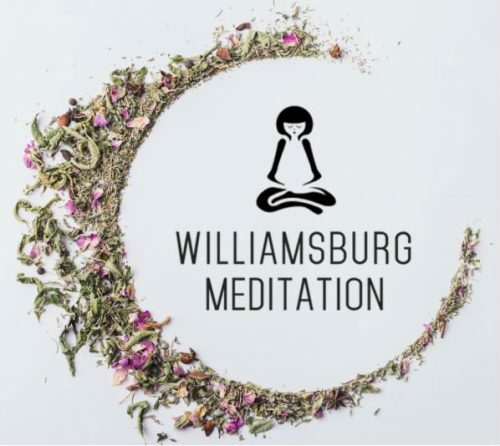 Together, the two men designed every public school in Brooklyn built between 1855, when the Brooklyn annexed Bushwick, Williamsburg and Greenpoint to become the third largest city in the country, and 1898, when Brooklyn became part of New York City. Enter the Power Broker. As Parks Commissioner under Mayor Fiorello Laguardia, Robert Moses built 11 public pool complexes across the 5 Boroughs, all but one opened in 1936. 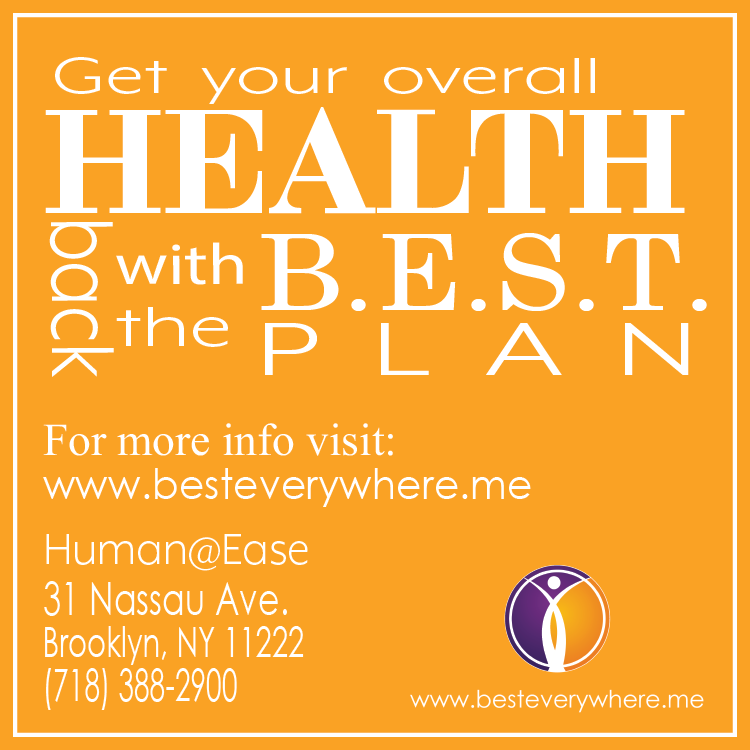 The McCarren Park Play Center (776 Lorimer Street) is the largest of them all!!! 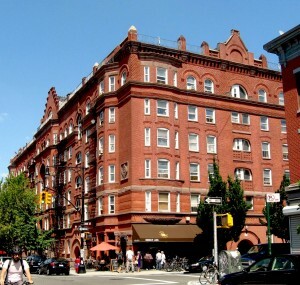 The complex, landmarked in 2007, was built with WPA labor under the auspices of New Deal legislation which promised to raise the national standard of living. Offering a relief from the heat of a New York summer, and a place for recreation, the McCarren Park Play Center stood out as a special amenity in Greenpoint and Williamsburg, which were both deeply underserved neighborhoods at the time. 1936 was dubbed the Summer of Pools in New York City, as a new one opened every week. The opening ceremonies “featured parades, blessings of the waters, swimming races, diving competitions, appearances by Olympic stars, and performances by swimming clowns.” A crowd of 75,000 turned out July 31, 1936 to celebrate to opening of the McCarren Park pool. 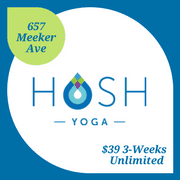 Despite all this revelry, the history of Moses’s pools is a fraught one. The complexes, ostensively for the public, began as largely segregated spaces, used predominantly by white New Yorkers. 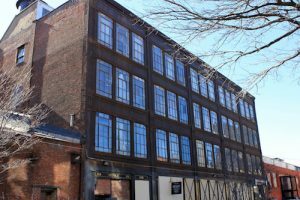 Rounding off our list, the Hecla Iron Works Building (100-118 North 11th Street) is technically in Williamsburg, but its significance to the city makes it too interesting to leave out. Hecla Iron Works, named after Mount Hekla, an active volcano in Iceland, was founded by Scandinavian immigrants Niels Poulson and Charles Michael Eger in 1876. After a series of fires in the late 19th century, Poulson and Eger built the present Hecla building as their headquarters and showroom in 1896-97. The building, landmarked in 2004, showcased the pathbreaking decorative ironwork the firm offered. But that’s not all that earns this building its historical bonafides. In fact, the firm had deep impact on the look of New York’s built environment. Chances are, if you look around, you’ll spot some Hecla Iron Work. Just some of the firm’s notable contributions include the fence at the Dakota, Macomb’s Dam Bridge and 155th Street Viaduct, the gates of the American Fine Arts Society, the truss work and balcony of the 14th Regiment Armory, the elevators and stairs at the American Surety Company Building, the elevators and grillwork at the New York Life Insurance Company Building, interior and exterior work at the New York Stock Exchange, the marquee and windows of the St. Regis Hotel, the marquees and grillwork at B. Altman’s Department Store, the windows at Grand Central Terminal and the original 133 entrance kiosks for the IRT subway system. Hi. 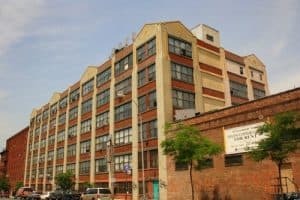 I was recently in the area around the Fairway Market on Van Brunt and Reed St. in Red Hook and am curious as to what was housed in the Fairway Market building as well as the two factory/ warehouse buildings on the opposite side of Van Brunt St. I was specifically interested why the large steel doors on all the openings of the Fairway building as well as the sort of rail system/ structure that rises vertically on some of the window banks. do you have any knowledge of this or perhaps you could give me some direction of where to look. Thanks.